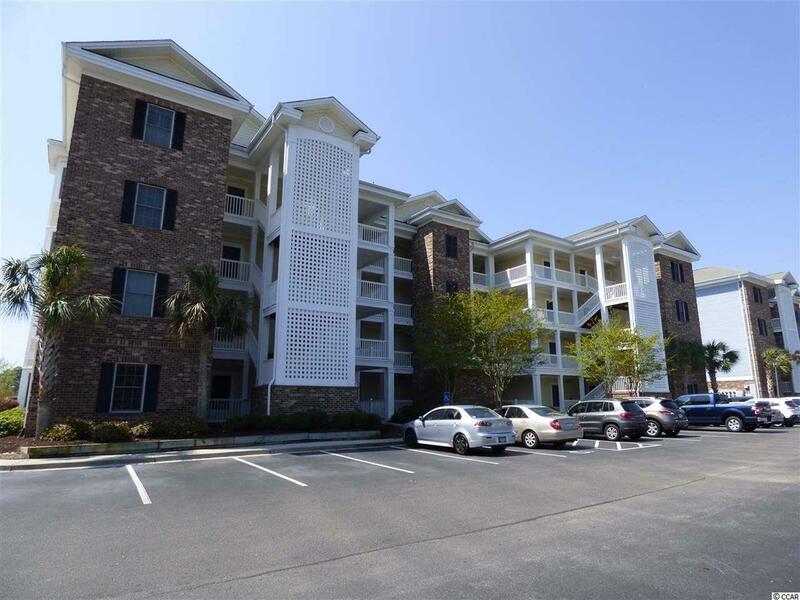 Very well maintained large 3 bedroom/ 2 bath condo at Magnolia Pointe. This condo is located on the 3rd floor and has great views of the large pond with fountain. The kitchen is large and with plenty of cabinet spaces and has tile flooring. Also, both bathrooms have all tile flooring. The master bedroom is quite roomy and has great views of the lake and fountain. The balcony has a ceiling fan and has been enclosed to make it an "All seasons room. Enjoy the community pool anytime you want. Owners have easy access to the 36 hole Myrtlewood Golf Course and driving range. Magnolia Pointe is located less than 3 miles from the beach. This condo is move in ready.